PERRY COUNTY - Two additional suspects were arrested and charged Friday in connection with the 2010 murder of Sidnee Stephens, Perry County Sheriff Keith Kellerman announced during an evening news conference. Chad R. Bennett, 22, and Dakota Wall, 20, were taken into custody earlier in the afternoon and placed on $500,000 bond each in the Perry County Jail. Each faces accountability charges on first degree murder, aggravated kidnapping, home invasion, residential burglary, kidnapping, as well as concealment of a homicide. An arraignment will be set for early next week, Kellerman said. The charges mean both Bennett and Wall are suspect of having had some involvement in the planning and killing of the 15-year-old Stephens back in July of 2010, though they may not have executed the direct actions themselves, Kellerman said. The sheriff declined to go into further detail about the charges or the timing of the arrests Friday, saying it was subject to further investigation. Kellerman said he does not anticipate further arrests being made in the case. Stephens was found shot and strangled in a creek south of Pinckneyville. 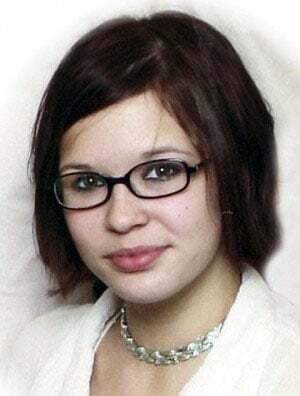 Carl Dane, James Glazier, and Robert Mueller were arrested and charged directly with her murder in the weeks following the discovery Stephens' body. Dane pleaded guilty in 2011 to the charges and was sentenced to prison. He killed himself inside his jail cell the day he was scheduled to be transferred to Menard Correctional Center in Chester. Glazier was found guilty of the murder earlier this year and sentenced in September to 60 years in prison. Mueller has also been found guilty of the crime and is awaiting a sentencing date later this month. Wall had been previously arrested in relation to the murder on a misdemeanor charge of obstructing a police officer. She pleaded guilty in 2011 to the charge and was issued a fine. PINCKNEYVILLE — Two additional city residents have been arrested in connection with the 2010 murder of 15-year-old Sidnee Stephens of Pinckneyville.